The Todd Oldham book “Joan Jett” is now set for release on March 19th, according to Amazon. It was originally going to be released on April 15th. You can preorder it HERE. Amazon has also added some pages of the book to their page, on the left under the picture of the cover. Very pretty! Rock-and-roll goddess Joan Jett holds a beloved place in the world of music. She started her first band, The Runaways, at age fifteen and has blazed a trail that has inspired and thrilled her fans to this day. AMMO Books is proud to release this authorized, loving tribute conceived and authored by designer Todd Oldham. The book chronicles all aspects of her career and passions through images—from forming The Runaways, to her years of touring with her band, Joan Jett and The Blackhearts. JOAN JETT features many never-before-seen photos, ephemera, and excerpts from thirty years worth of interviews, carefully curated with Joan herself, covering the multi-decade career of a real rock-and-roll icon. A thoughtful introduction written by renown indie rocker and Riot Grrrl Kathleen Hanna brings context to this exciting title. Joan Jett is a revered songwriter, musician, and American icon. In keeping with her pioneering spirit, she went on to be the first woman to start her own independent rock label, Blackheart Records. 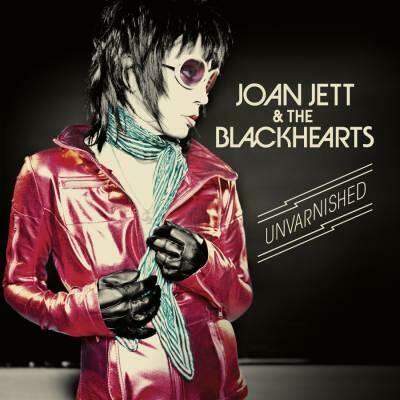 Joan Jett and The Blackhearts Greatest Hits compilation will be released in March 2010 , and a film based on The Runaways starring Dakota Fanning, and Kristen Stewart as Joan Jett, will be released on March 19, 2010. Todd Oldham is one of the most beloved and mediagenic designers working today. Originally a couture fashion designer with several stores in New York, and a commentator on MTV’s House of Style, Todd’s career has evolved to include all areas of design, from film and photography to furniture and graphic art. Todd appears frequently as a consultant on NBC’s Today, as well as on MTV’s enormously popular Crib Crashers, for which Todd redesigns teenagers’ homes in the likeness of their favorite stars’ abode. Oldham designs his own line of dorm room furnishings for Target in addition to a line of furniture for La-Z-Boy, and he is currently developing a television series based on Handmade Modern. Most recently, he has become a contributing editor to ReadyMade magazine. He lives in New York City. Read more about the book and see more pictures from it on Ammo’s website HERE. I’ll update the March schedule to include this soon. This entry was posted in Jetthead gift ideas, Joan Jett, Merchandise and tagged "Joan Jett" book by Todd Oldham. Bookmark the permalink.